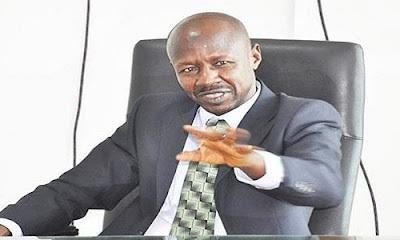 The Acting chairman of the Economic and Financial Crimes Commission, EFCC, Ibrahim Magu, has claimed that corruption was behind separatists agitation across the country. Appealing to Nigerians to stop celebrating people with questionable wealth, Magi said Nigeria would be one of the best countries in the world if corruption was eradicated. Magu, who said this while receiving National Council for Arts and Culture Director-General Otunba Segun Runsewe in his office said, “We have heard you very well, very carefully. Corruption has eaten so deep into the fabric of this country. It is a threat to our co-existence, it is a threat to our unity and the survival of Nigeria. “We have to have a common consensus to fight corruption; all of us must agree to fight it. Magu called on Nigerians to collaborate with the EFCC to fight corruption so that the country could have a better future. He said: “I want to appeal to Nigerians to join the fight against corruption. It is our duty to fight corruption so that we will have a better tomorrow. “Not all of us can arrest but we can join the whistle-blowers. Joining the whistle-blowers has two advantages: The fact that you have exposed crime and the fact that you will get a cut of any recovered amount. Let us join the whistle-blowers, let us expose all forms of corruption.